It is that time of the year when e-commerce giants will lock their horns over Republic Day sale. 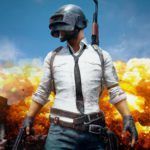 Flipkart has already revealed some of the major listings under the mobile phones segment, and they look quite impressive for the potential buyers. 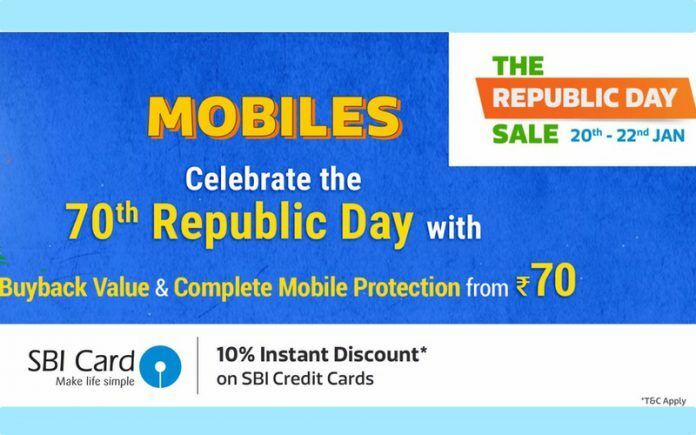 Flipkart’s Republic Day sale will kick off on January 20, 2019. 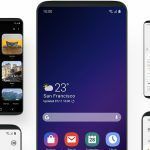 It will include substantial deals and discounts on select smartphones from big brands like Xiaomi, Realme, Google, Motorola, Samsung, and more. The Republic Day sale by Flipkart will have early access for the Flipkart Plus members. For them, the sale will begin at 8 PM on January 19, 2019. Under the sale, Flipkart will also be offering the No-cost EMI option on select phones. Other offers will include exchange discount, Complete Mobile Protection plan by Flipkart for just INR 70. The e-commerce giant has also included Buyback Guarantee option for the buyers, which will add another INR 70 on their total bill. Starting with Xiaomi’s budget flagship, the Poco F1. The phone is stacked with a Snapdragon 845 chipset and other premium specifications. 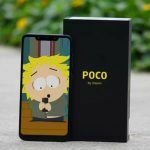 The Poco F1 will be available for as low as INR 18,999 (down from INR 21,999) for the 6GB RAM+64GB Storage variant, INR 21,999 (down from INR 24,999) for the 6GB RAM+128GB Storage model, and INR 25,999 (down from INR 30,999) for the top-end 8GB RAM+256GB Storage variant. The second substantial deal pops up for the Samsung Galaxy S8 smartphone, which will be up for grabs at INR 30,990 (down from 49,990). 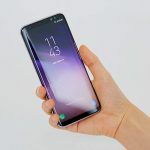 Well, if you are Samsung’s S-series fan and have been planning to purchase the 2017 flagship from the brand, then this is the right time to make the decision. 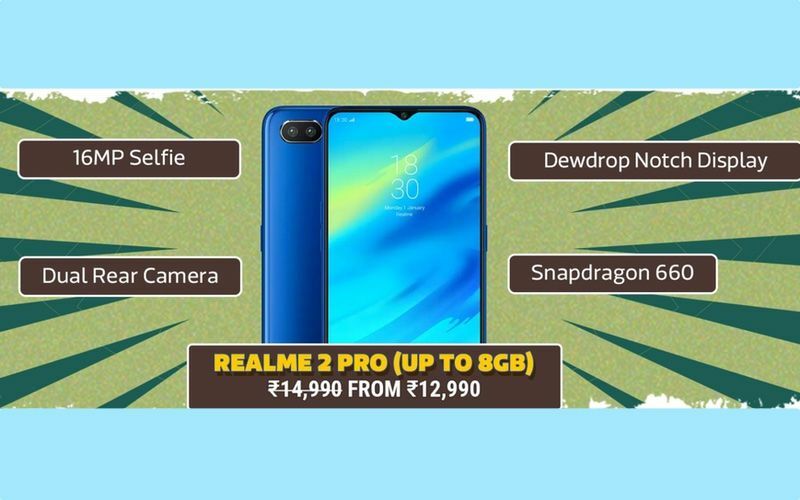 Flipkart Republic Day sale will have the Realme 2 Pro retailing for as low as INR 12,990. The phone was launched at INR 13,990 in India. It gets a flat discount of INR 1,000. Then we have the Motorola One Power smartphone, which was a masterstroke launch from Lenovo-owned Motorola in 2018. The phone will be listed at INR 13,999 under the sale. It was launched at INR 15,999 in India. 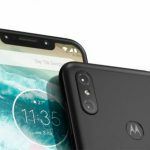 The Motorola One Power is an Android One smartphone backed by a mammoth 5,000mAh battery. 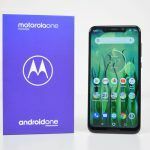 Check out our review for the Motorola One Power here. The Republic Day sale will also include other Realme phones such as the Realme C1 and the Realme 2. The Realme C1 will be retailing at INR 6,999 (down from INR 8,990) while the Realme 2 will be available at INR 9,499 (down from INR 9,990). Other smartphones included in the deal are from Honor, ASUS, Oppo, and other brands. The Honor 10 Lite will be up for sale at INR 13,999 (down from INR 16,999). The Oppo F9 will retail under the ‘blockbuster deal’ for as low as INR 12,990 (down from INR 21,990). The Nokia 5.1 Plus will be available at INR 9.999 while the Nokia 6.1 Plus will be listed at INR 14,999. Under the flagship segment, the Google Pixel 2 XL will be available at INR 38,499 while the Pixel 3 will start at INR 59,999. The Pixel 3 and Pixel 3 XL will also be eligible for an exchange discount up to INR 5,000. ASUS’s recently launched ZenFone 5Z flagship will be available for as low as INR 24,999 (down from INR 32,999).